Hello dearies! Remember my last post on Trick or Treat 2013? I told you Meg will be Queen Ravenna for this year. 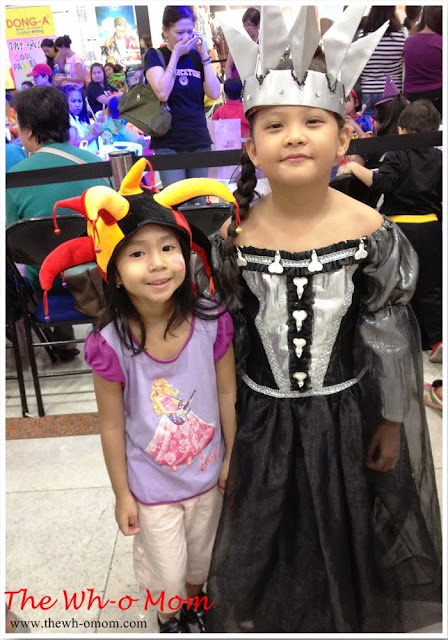 We had our first Trick or Treat activity at Gateway Mall last Sunday (Oct.27, 2013). Because we were so tired from the Family day at Meg's school, we woke up late and arrived at the event around 12 noon already. Registration started at 10 AM so just imagine the crowd when we got to the activity area. It was partially my fault, in the past 3 years that we've been joining this activity at Gateway Mall, I always find time to pre-register but this year I totally forgot about it. So muryot na si bagets sa haba ng pila! When we're halfway to the registration, they said no stubs na! 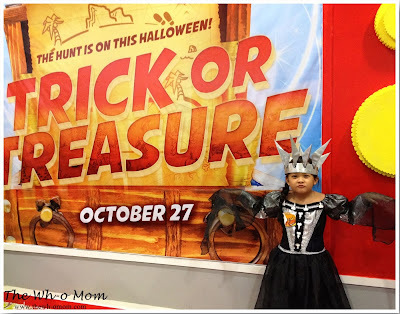 I decided we'll go home na lang but they came up with a solution that we won't be given stubs (stubs are for the Face Painting, Nail Salon, etc) but we can still join the Trick or Treat inside the mall and the Costume contest. So I asked Meg if she wanted to stay pa, e sayang naman the get-up 'diba? Anyway, sharing with you some of Meg's pictures. We saw Gyl there! Gyl is the daughter of my co-SP Mom Mommy Gilda. Inip mode na ang bagets. Sorry about the crown di masyado perfect pagkakagawa ko. What can you say about Meg's costume? Ok ba? I never expected they would recognize this character. Aside from it's from an adult Disney movie, baka di nila magets e. Hehe... But to my surprise, dami nagpapicture kay Meg! Nagulat pa sya, she asked me, Mommy bakit? Then I told her, nagagandahan sila sa costume mo. :D I won't post the pictures of the kids na ha. 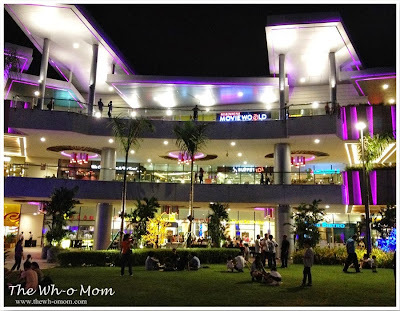 Meg said next year ulit, but I have some suggestions for Gateway Mall. 1. Find a bigger activity area if you want to accommodate more kids. 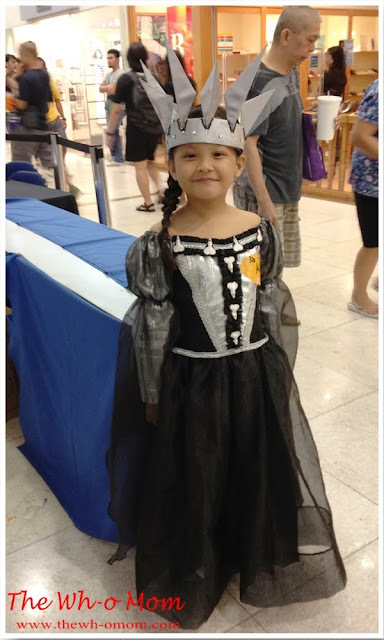 As I've said a while ago, we've been Trick or Treating at Gateway Mall for 3 straight years already. I don't have a problem before since I pre-registered and came early but now I understand those who weren't able to pre-register and were late for the event. Kawawa kasi mga kids. Imagine I think half lang naman talaga nakakaupo e. Pag wala kang kasama na magbabantay nung seats nyo, wala na. 2. Limit your participants. If you can't find a bigger area, limit the number of participants na lang. Say, 200? And please disseminate the information of your pre-registration properly and about the event. Mas maayos yung flow I think pag ganun. Since if other participants forgot to pre-register, konti na lang yun against those who already registered. Di masyadong magulo sa area plus your staff will not be so pagod din. As always, the program is good and the kids enjoyed. Yun naman pinaka-importante. We will still be joining next year, according to my daughter. Hello dears? How are you? I purchased our first Trick or Treat ticket yesterday. I wanted to be practical and at the same time make sure Meg will enjoy and the first thing that I considered is the location. When I passed by Jollibee Retiro (the branch nearest us), they have Halloween activity on Sunday (October 27). Too bad we can't join it naman. So I tried the Welcome Rotonda Branch and good thing their Halloween activity is scheduled on Oct.30, 2013. 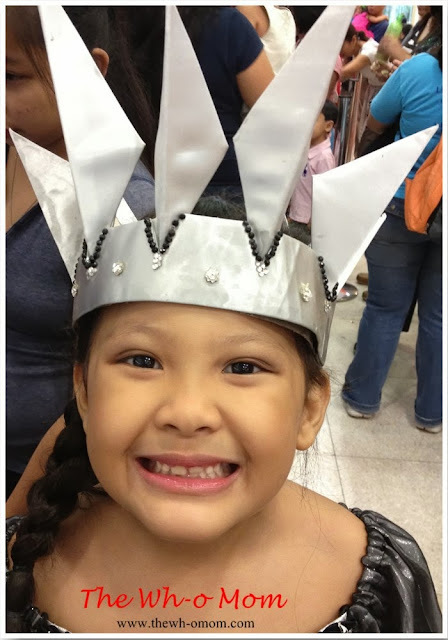 For just P200 registration (good for 1 adult and 1 kid), your kids can enjoy the different activities with loots. I haven't confirmed the different games/activities for the program but I think it will just be like their birthday party games. The best part? The ticket comes with a meal stub both for you and your kid. Bongga na 'diba? 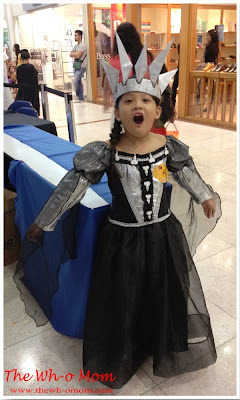 They will also choose the Best in Costume so kids should wear their scariest, cutest, and unique Halloween costumes. 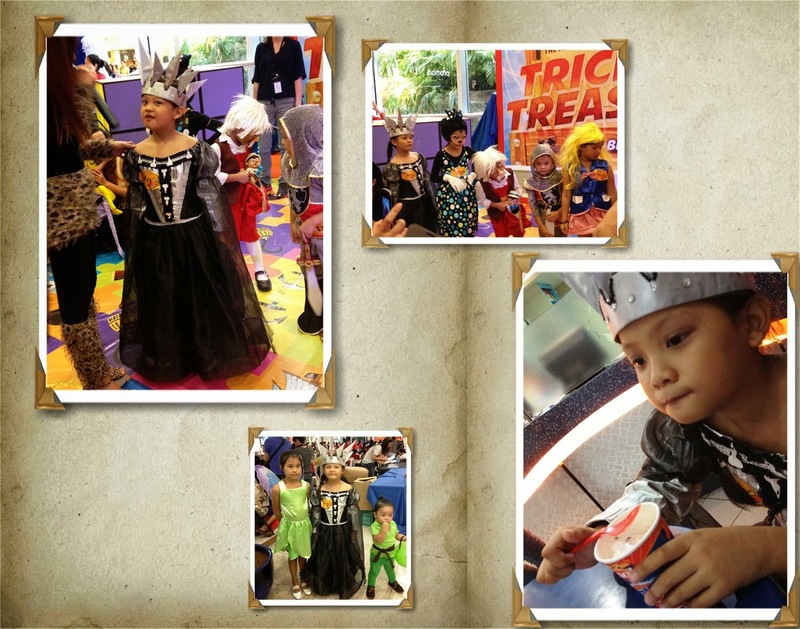 This is not grand like the Trick or Treat parties in hotels or malls but the kids will surely have fun. Sa Jolly Spaghetti pa lang, happy na sila! 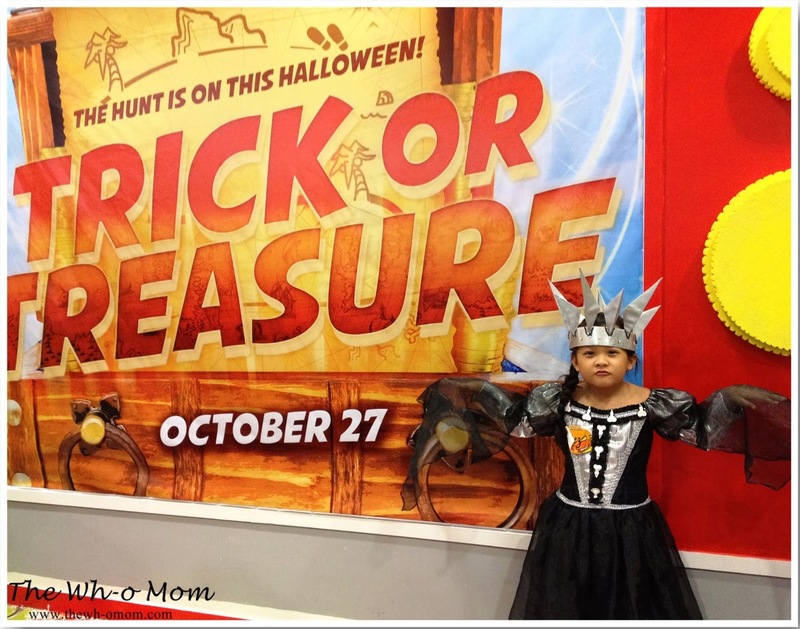 =) So check the nearest Jollibee store in your area and make your Halloween fun! It's almost the end of October and that only means Halloween! 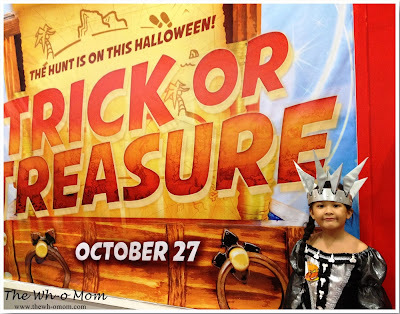 We always go to Gateway Mall for Trick or Treat. Aside from it's near us, the event is organized, the kids bring home a lot of treats (as in! ), plus the kids are happy. There's a little space nga lang, but for us keri lang. A minimum purchase worth P300 from Araneta Center, may Activity Pass na. Ang ginagawa namin ni Meg, yung P300 binibili na namin ng lunch. Practical 'diba? The theme for this year is "My favorite Disney Character". 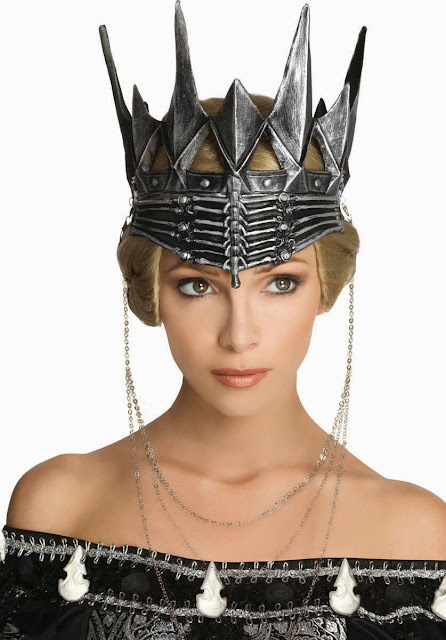 For this year, Meg will be the "Evil Queen" Queen Ravenna from the modern adaptation of Snow White and the Huntsman. We have the dress already, bought it from a friend and pina-alter na lang. We still need the crown yay! Ang bongga ni Charlize Theron! This is the whole costume. 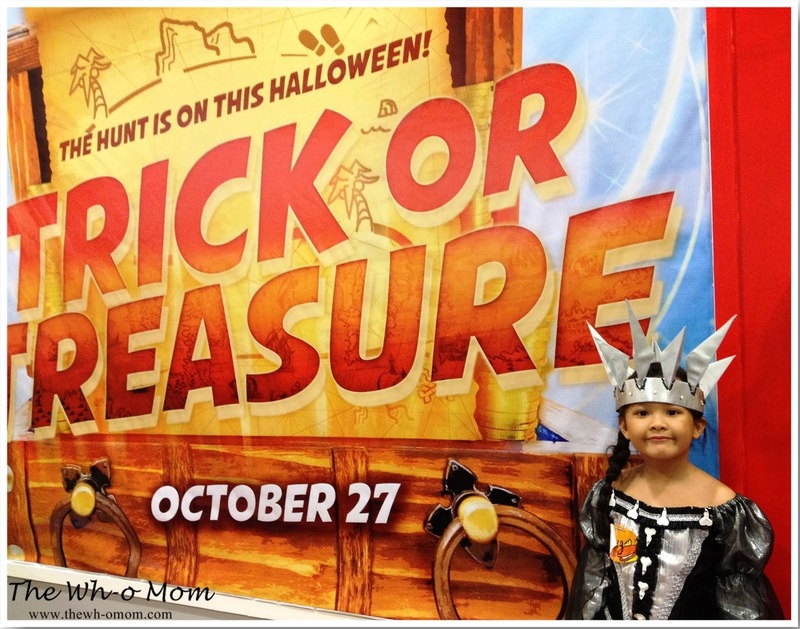 Where are you bringing your kids for Trick or Treat? What costume would they wear? Last week had been so stressful for me. But last Thursday (October 10) was so far a GOOD day. I got Meg's report card that day and all the anxiety, stress, and worries were all gone when I saw her grades. But let me just share something with you guys that happened the day before I got Meg's First Trimester Progress Report Card. The usual thing as every day, I went to school with Meg and since I was carrying newspaper for the newspaper drive, I walk her through the classroom. As we entered the room, their class leader was telling something, parang she's choosing someone to go with her to I-don't-know-where lol. Eh syempre kadarating lang namin so the leader didn't choose Meg. I saw Meg frown (as in super sinimangutan talaga niya), but I told her it's ok. The next scene surprised me; she talked to her classmate and showed her Art project. After that, tumakbo si Meg. Nagulat talaga ko, as in! Yun pala, she followed their class leader outside and when the group saw Meg, they were like, "Why did you follow us?" Hay di ko kinaya yung eksena. I called her to go inside the room and the guard saw me then said, "Ma'am bawal po kayo dito." Ay syempre bad mood na ko kaya feeling ko napataas talaga boses ko when I answered him back. 1. Meg left her things ng ganun-ganun lang and run. 2. She followed their leader pa eh she was not chosen na nga. I felt that she is not yet responsible in organizing her things and I was thinking of ways on how to improve her behavior. I know naman na bata pa sya. I didn't focus sa part na nainis ng bongga sa kanya yung mga classmates niya and parang inaway sya, because I want her to learn something from it on her own. That she'll realize na mali ginawa niya. Nanay (my Mom) talked to her first. I know I have the tendency to over-react e. Meg then promised di na daw niya uulitin. What made me more worried that day is that the following day is their PTC. I thought na ganun si Meg everyday and ganun ang feedback ng teacher sakin. Nag-anxiety attack na naman ako. So moving on to the PTC, her teacher told me that Meg's VERY GOOD in class, listens attentively, and participates in the discussions. Muntik na kong maiyak as in. The only problem lang, she has this tendency na pag naitabi sa maingay o malikot, distracted na. With the Major subjects naman, we should focus more on SCIENCE. As with her Minor subjects, MUSIC EDUCATION, ART AND WORK EDUCATION, and COMPUTER EDUCATION. I'm hoping for more improvement pa. But I'm happy that she's coping up with all their school works. Highly Satisfactory yung Learning Habits/Traits nya. Thank you po Lord. I know I'm always hands-on with Meg, minsan may pagka-OA na. I admit sometimes I'm pushing her or expect too much from her. I am not a perfect Mom but I'm trying so that she can learn best with me guiding her. [Press Release] The importance of an active lifestyle and proper diet to maintain strong bones is the highlight of this year's World Osteoporosis Day (WOD), which takes place on October 20. 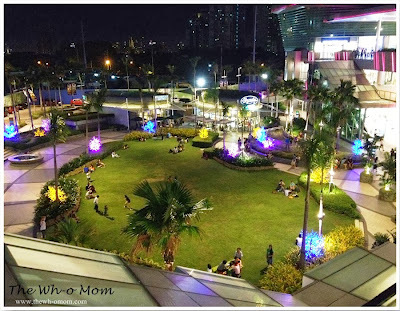 In the Philippines, Anlene invites families to join the special celebration at the SM Mall of Asia Music Hall featuring fun group activities and learning sessions. Celebrated in over 90 countries, WOD is an annual, year-long global campaign for bone health. Started by the International Osteoporosis Foundation (IOF), the event is dedicated to raising awareness on the prevention, diagnosis, and treatment of osteoporosis and other bone diseases. 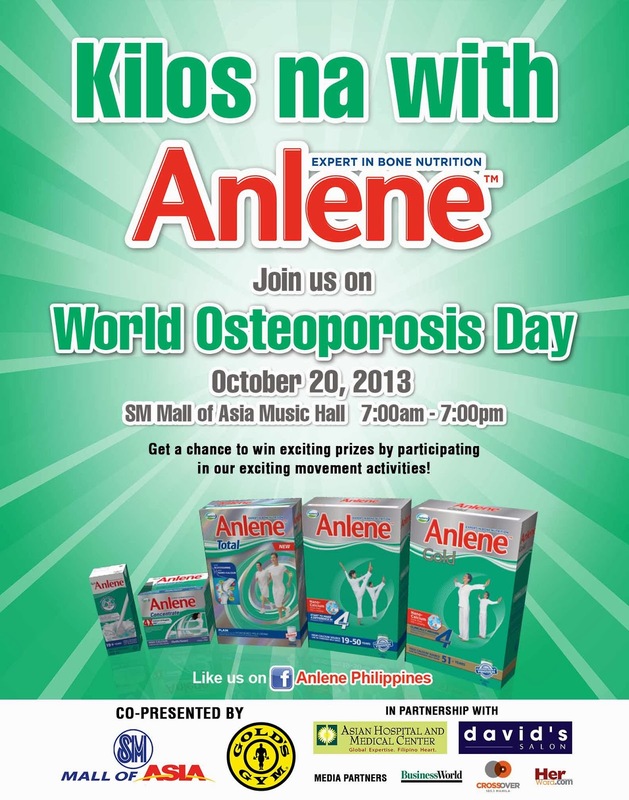 Organized by Anlene, the Philippine celebration of WOD 2013 will also focus on the mother’s role in promoting bone health. IOF and Anlene believe that mothers are the backbone of families throughout the world; hence, it is important to protect them as they age. WOD 2013 encourages families to fight lazy bones by leading an active lifestyle as well as taking calcium-rich food like milk to delay weakening of bones. During the whole-day event on October 20, Anlene will formally launch “Kilos, Pamilya”, a healthy lifestyle movement that promotes strong bones and strong bonds. A bone health expert from the Asian Hospital and Medical Center will also give a lecture on how to properly care for the bones and shed light on why it is important to get off the couch and start leading an active lifestyle. The WOD 2013 also includes fun activities for the whole family. The event will feature bone scanning sessions, zumba and aerobics classes, yoga, tai chi, and many more. Raffle prizes also await lucky participants. The event will be held from 7 am to 7 pm. Entrance is free. The World Osteoporosis Day 2013 is co-presented by SM Mall of Asia and Gold’s Gym and supported by Asian Hospital and Medical Center, David’s Salon, Maynilad, Ever Bilena, Viajero. Special thanks to the Philippine Rugby Football Union and Peace Blossoms Internal Arts Society. Media partners include BusinessWorld, HerWord.com and Crossover 105.1. For more information on WOD 2013, please visit Anlene Philippines on Facebook. 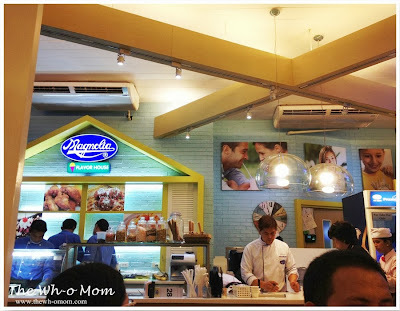 When we went to Robinsons Magnolia to watch a movie with the kids, we also visited the Magnolia Flavor House. 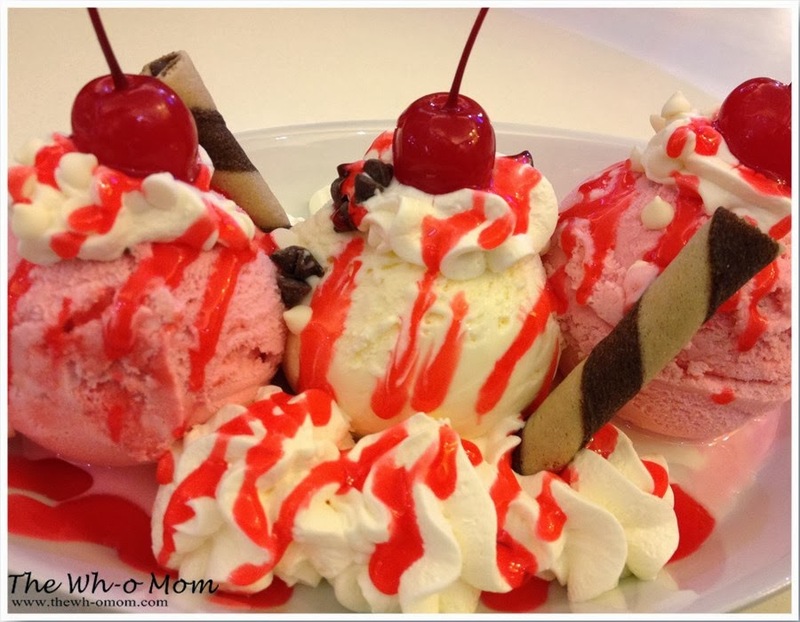 Syempre ice cream kaya super like nila. The place is full so we waited for our turn. (An attendant will get your name and add you up to the waiting list.) Medyo mabilis naman but since we were waiting for our turn, we went to the garden area muna. I like this area. Unlike other malls that are too crowded, Robinsons Magnolia has a wide space. Kahit sa loob ng mall maluwag. Kids can play around or just sit on the grass. Kaloka lang yung dalawang bata, takbo nang takbo kaya habol and sigaw galore ako. Anyway, back to our ice cream... We ordered four kinds from their menu. I'll rate the following from most to least favorite. Ang sarap ng combination ng stawberry and vanilla. Kahit yung mga kids, like 'to. Perfect ang combination nito. Yung mango plus the nuts, caramel, and I think graham ata yun (not sure). 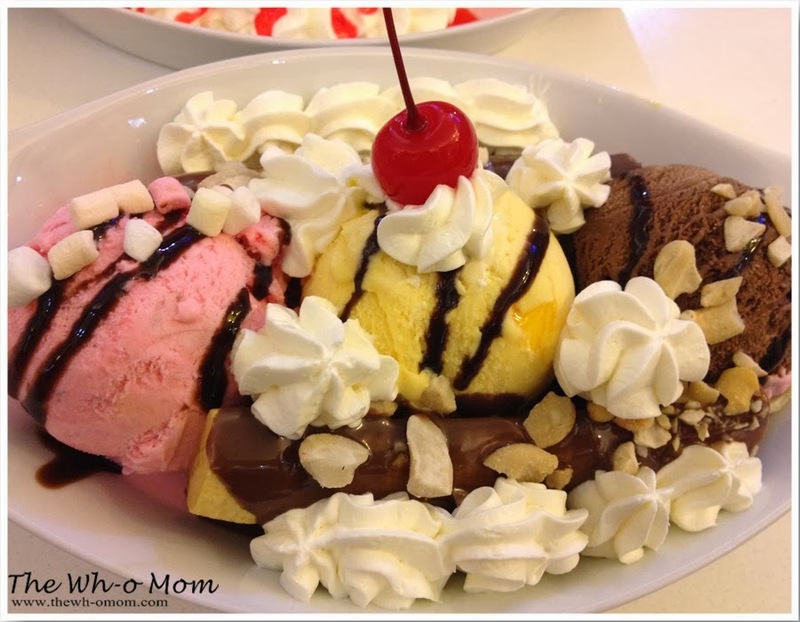 Masarap sya, though hindi masyado bet ng kids. Nothing special with this but my sister likes it. Surprisingly 'di gusto ng mga kids. Bet pa nila yung Red Velvet kasi may strawberry and vanilla e.
1. The ice cream flavors are not that sweet. 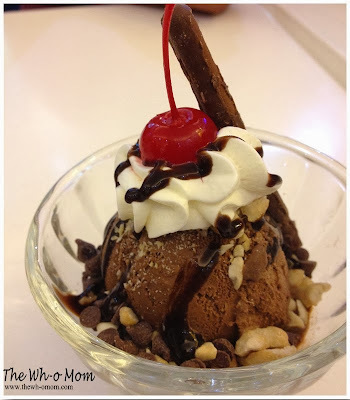 Sabagay ganun naman talaga yung Magnolia ever since. 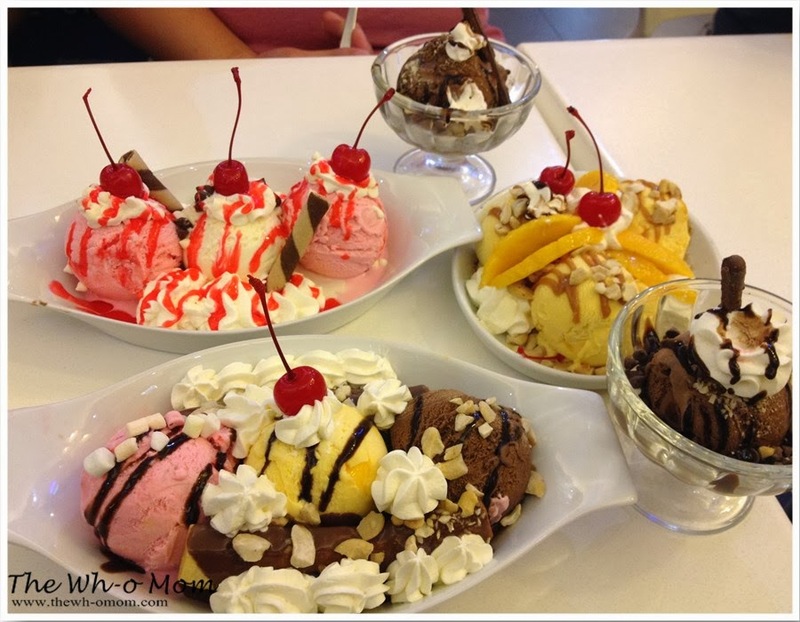 Di matamis yung ice cream nila. 1. Parang maliit yung space nila, mainit pa. Plus since it's very crowded, lahat ng ingay nandun. Sakit sa bangs! The crew, dahil madami ngang tao, parang aligaga na lahat. Meaning di masyado nalinis yung table namin, good thing we always bring alcohol and tissue. I'm not sure if they are always like that, baka dahil ang dami lang talaga ng tao. Anyway, nag-enjoy naman mga kids. We'll be back for sure. The fear of not having friends is one of my concerns when Meg entered big school. What if they make fun of her? What if other kids tease her? Low pa naman ang self-esteem ni Meg before. When I came home last night, I saw this in Meg's bag. They (Meg and Danielle) made this yesterday during school break. Translate: I will BEST FRIEND you forever. So I'll just support her as she explores this new chapter in her childhood. I felt relieved that she got along well with her classmates and as I always say - Life is better with a FRIEND. I'm really not a snob! I take Meg to school everyday and the everyday scenario fascinates me. I think it's normal for parents to actually talk to each other about the lessons or projects at school, the different schedule or activities, and ask about the notes, but not COMPARE (negatively) the children! This is the reason why I don't really go into groups with other parents at school. I can tolerate the copying of the notes when their daughters weren't able to finish all the reminders given. I can understand the feeling that they don't want their daughters to be left behind of the lessons at school. I can relate that they don't want to be clueless and they are super hands-on in terms of their daughter's academics but puh-leasse, NEVER COMPARE (negatively)! Every child is different and I don't think our children deserve to be compared to other children. Sobra na yun! Remarks like, "Ayy yung anak ko bakit kaya ganun, buti pa anak mo." See the feelings and emotions raised whenever you talk to other parents? Nakaka-stress lang no! I am not generalizing, this is my own opinion of the situation. So as to avoid any ill feelings, "tsismis", and "yabangan"; I don't mingle at all. I smile, I talk to one or two and perhaps three parent but that's it - no engaging talk. 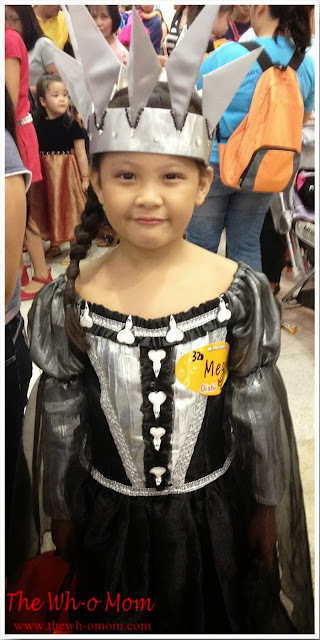 I know myself kasi, I am super hands-on to Meg and if I learn something that my daughter was not able to do or finish, I will put all the pressure to her and I'll be super guilty-to-death. I also want my daughter to be independent. I remembered she forgot to tell me that she needs to bring something at school.That happened twice already and we're still OK. Her grades are OK. So no need to fuzz plus I always keep in mind that I won't be able to do everything for her even if I want to. Or I can't prevent things to happen. It will definitely happen even how much I worry. Let your children learn on their own. The more we engage, the more they will have a hard time to be independent. If they make mistakes, they will learn from it. Nung bata naman tayo may mga di rin tayo nagagawa, pero OK lang naman tayo. I know we just want our kids to excel and do well in school but don't overdo it. I am not saying I won't mingle at all or not make friends. Iba-iba rin naman mga parents. As long as it's just for parent-relationship at school and walang halong competition, it's fine with me. But don't annoyingly talk to me about what your child can do that almost sound like bragging and will make me feel stupid. 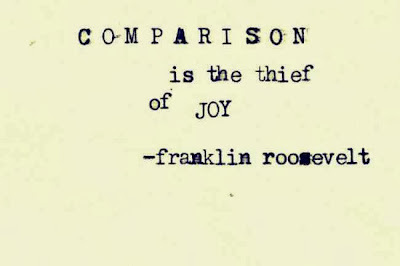 I do compare, it's natural. 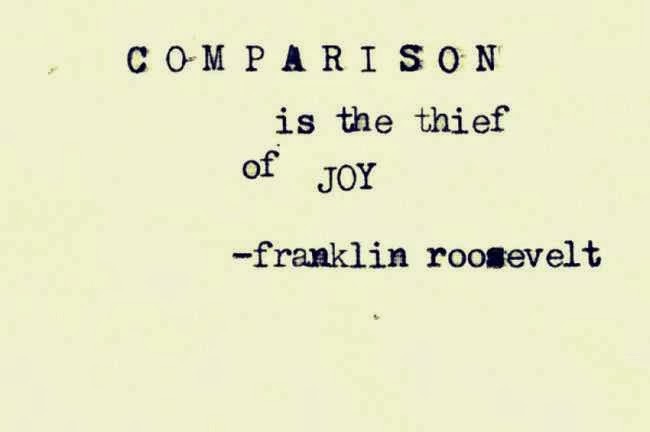 But healthy comparison lang sana. 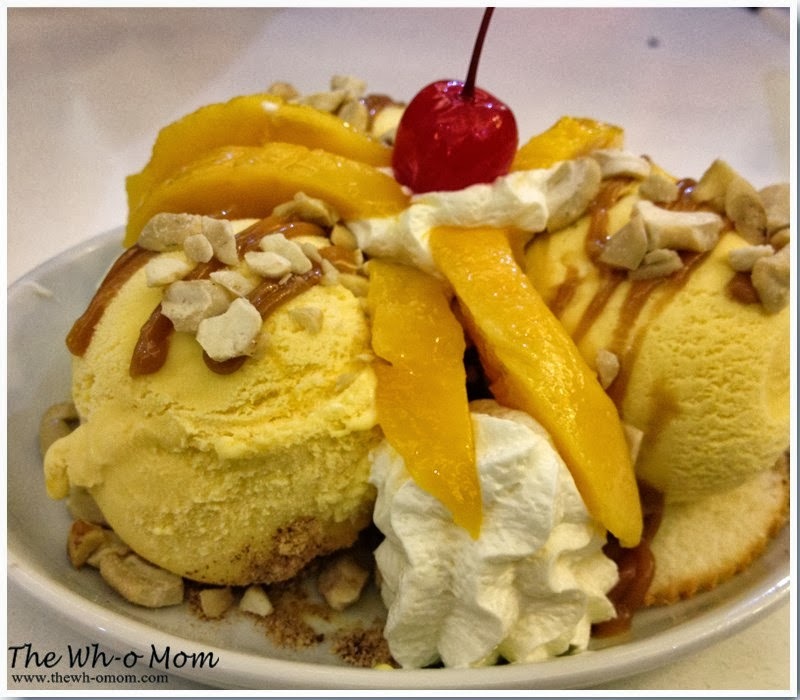 I joined different "Mommy groups" nga because I want to learn from them. Ganun dapat. I do tell others about Meg's achievements but not brag about it. I'm just so proud that's why I share it to other people minding my words and being sensitive. Remember: Let's just be happy parents!